WEST PALM BEACH, Fla. – Edrick Rhodes comes from a family of musicians. His father was a band director for 31 years in Miami Dade county, two of his uncles were middle school band directors, and his brother currently teaches music education. Rhodes began playing the French Horn at the tender age of five and decided early on that he wanted to study music in college. Rhodes parlayed his love of music education into a career and the K-12 Arts Education Program Planner for the School District of Palm Beach County, was recently named the recipient of the 2018 Supervisor/Administrator Award by The Florida Art Education Association (FAEA). The award recognizes recipients who, among other qualities, demonstrate leadership within the organization and the field of art education. The award is a testament to the caliber of arts educators in the District, many of whom are funded by a County mill levy which voters are being asked to renew in November 2018. 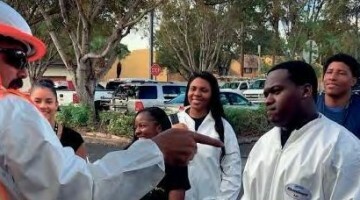 After receiving his bachelor’s degree in music education from the University of Miami, Rhodes went on to the University of Central Florida where he earned a master’s in education with an emphasis in music. He’s currently working on his doctorate at Nova Southeastern University. A District employee for almost 20 years, Rhodes started out as the Band Director at Olympic Heights High School, later moving to West Boca High School as Director of Bands and Chairman of the Performing Arts Department. In his current position, he oversees curriculum for K-12 arts education courses, in addition to developing all K-12 arts education professional development opportunities for teachers. He also facilitates all District performing arts events and several other arts-related events throughout the community. 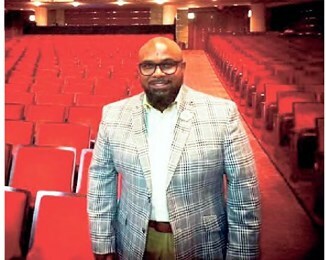 He serves on several educational committees and is the Director of the District’s Arts Integration Cohort Project, funded by a grant from the U.S. Department of Education. The FAEA is a membership association dedicated to providing visual art educators in Florida with the knowledge, skills, and support to ensure the highest quality instruction to all students in Florida. It’s an objective that Rhodes has embodied throughout his career, and a mindset that has fueled his passion for his work. Rhodes will receive his award at the Awards Breakfast during the 2018 FAEA Conference this October in St. Petersburg, Florida.